My first DUI was 10 years ago and just received my 2nd DUI. Will it count as my 1st or 2nd DUI in Court? This most recent DUI will likely count as your second DUI. Depending on the County (and more importantly) the Judge, incarceration is absolutely a possibility. You have several issues to deal with. First is your driving privilege. With a .18 BrAC (Breath Alcohol Content), you will be facing at a minimum either a 90 day complete suspension of your license (or privilege to drive) or interlock device (breath test hooked up to your car) for a minimum of one year. Read can read more about the breath test, license suspensions. 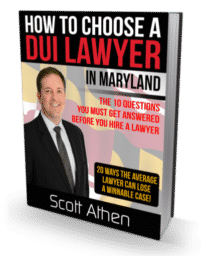 Download my FREE guide "How to Choose a DUI Lawyer in Maryland." 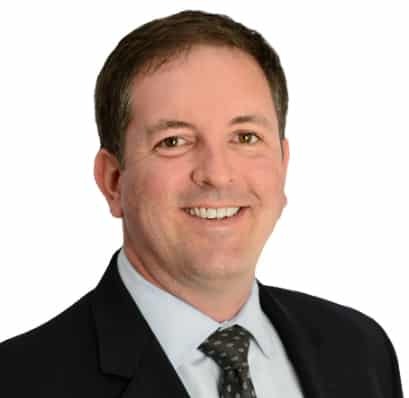 If you are facing DUI charges and want Scott to take a look at your case, complete the DUI Case Evaluation Form and Scott will contact you. Do I need a front tag on my car?